Boris Nemtsov’s murder: The Russian opposition leader was one of Vladimir Putin’s loudest critics. Boris Nemtsov was brusque, impatient, and rejected everything that Vladimir Putin represents. 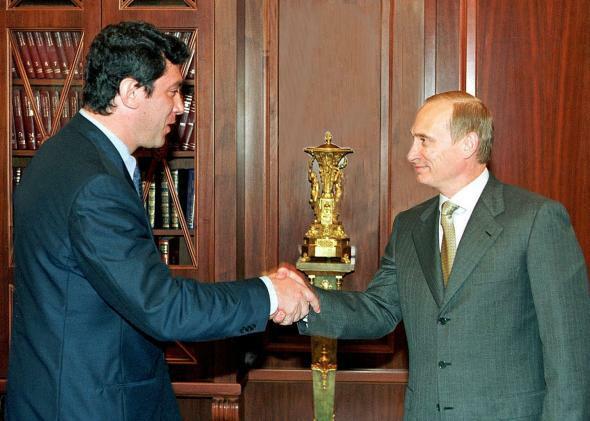 Dissident Boris Nemtsov, who was shot dead Friday, shakes hands with his nemesis, Russian President Vladimir Putin, in July 2000 at the Kremlin.